Taylor’s Dairies milk delivery business was founded by the late David Taylor in 1956. He was a traditional milkman and delivered to about 300 customers from a farm in Newton Longville. Taylor’s Dairies offer a wide range of fresh milk and groceries which is supplied to us by Dairy Crest. We deliver to households bright and early by 8am. Please see our delivery areas here. We also supply milk and dairy produce to businesses as well. If you own a shop, hotel, cafe, school or nursery or run a kitchen or staff canteen please get in touch. You can also use our online order system up to 6pm for your next delivery day. We have continued to build on our traditional values and service ethos and continue to provide a reliable free delivery service, using environmentally friendly electric milk floats. However, we operate a fully computerised delivery management system, including electronic hand-held computers for our milkmen. This enhances the value and efficiency we can offer our customers. Now, with the launch of this site, we can also offer our customers the convenience and security of an online order and payment facility. We offer a variety of ways to pay – from a doorstep collection, cheques via envelopes, online payments (PayPal / debit cards) and also BACs. Let us know which you prefer. 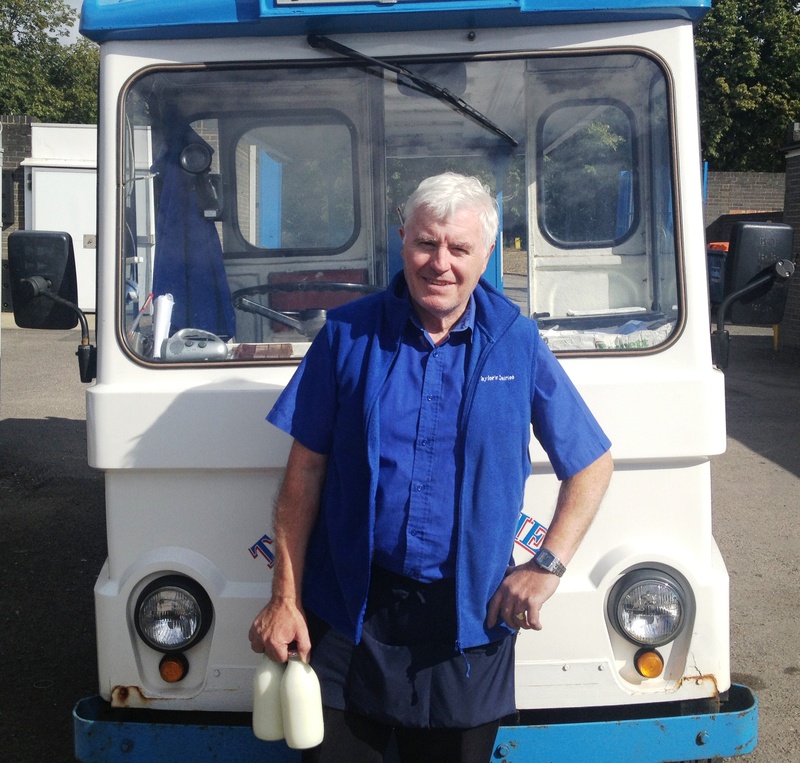 Many of our experienced and friendly Milkmen have been with us for many years, the longest serving of which is Alan who has been with us nearly 40 years. Soon you will be able to find us on Facebook!